The 18th Vietnam International Medical, Hospital & Pharmaceutical Exhibition – Vietnam Medi Pharm Expo 2018 will take place on 2nd – 4th August 2018. The exhibition will attract around 350 companies from 20 countries and territories. Vietnam Medi Pharm Expo is organized twice a year by the Vinexad Company (Ministry of Industry and Trade) (in HCMC in August and in Hanoi in December) as one of the trade promotion activities between domestic and foreign enterprises in general and enterprises in Ho Chi Minh City, Hanoi and neighboring provinces in particular. This year 2018, exhibition in TP. Ho Chi Minh City has increased its scale by attracting 350 enterprises (up 20 percent from 2017) from 20 countries and territories. The major exhibitors come from: India, China, Taiwan, Korea, Malaysia, Japan... and other countries such as Ixrael, Iran, Ukraine, Russia, USA, Italy, Germany and Singapore. The products displayed in this exhibition are in the category of Medical Devices (35 percent) such as consumables, laboratory equipment, measurement and testing; Endoscopy equipment, operating room, home medical equipment: Blood pressure machine, blood glucose... The remaining products in the Pharmaceutical Machinery (23 percent); Pharmaceuticals & Food supplements (10 percent), Dentistry (7 percent); Ophthalmology (5 percent); Beauty equipment (20 percent). Due to changing epidemiological models, the demand for investment in medical equipment in Vietnam will continue to increase due to the increase of medical expenses, the need to replace old and outdated machinery for better performance in treatment. Medical equipment from the US, Japan, Germany, Korea will continue to occupy the majority market share. Vietnam's medical equipment market will continue to grow by 10-11 percent annually. Domestic production accounts for 1.5-2 percent of total domestic market share. The most invested equipment is imaged (X-ray, ultrasound, MRI, CT scanner), operating roomequipment, patient monitoring, disinfection equipment, endoscopy, laboratory tests, waste treatment, ect. The investment in high medical technology centers will be concentrated in major hospitals in big cities (HCM City, Hanoi, Hue, Da Nang, Can Tho...). In Ho Chi Minh City from now to 2020, it is estimated that it will invest about US$900 million to upgrade medical facilities for hospitals. Well-known importers in the country such as Nguyen Quoc, SCILAB Vietnam, YK Viet, Hoa Y, Hoa Viet, GMED... are companies supplying medical equipment of big brands from USA, Germany, Italy, France, Japan, South Korea, etc. 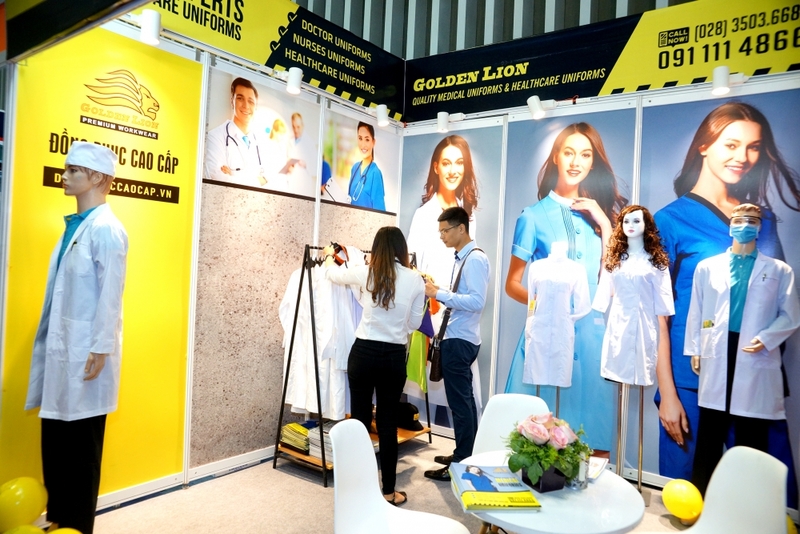 These companies are all participating in the exhibition; and they are attracting most of the purchasing department of public and private hospitals in HCMC and neighboring provinces. To increase the quality of the exhibition, in the afternoon of August 2nd, Vinexad in collaboration with The Private Medical Practice Group in HCMC, Family Physicians Association in HCMC, Diabetes and Endocrinology Association in HCMC to organize the seminar “Updates on diabetes in Vietnam and in the world”; "The Role of Family Physicians in Prevention, Early Detection and Treatment of Diabetes"; "Thinsulin Method: control weight, good shape, less diabetes ". Besides that, the workshop introduces new products of the Importers during the exhibition to help visitors access, understand the product and the new features and treatments. From that, the visitors can have a good assessment in for new products and help increasing the success of the negotiations at the exhibition. economics, but also help the community in the development of pharmaceuticals and medical equipment.